Gunther, Love LRtimelapse and it has been working well with my Nikon cameras. However, I have started shooting with the Phase One XF camera with the IQ3 back. LRtimelapse doesn't seem to recognize the files. I can open them with Photoshop and Mac Preview. I am on a Mac with 10.12.3 Sierra and Photoshop 2017, Camera RAW 9.9. 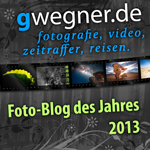 LRtimelapse 4.7.5. Currently I open the files in Capture One and crop, color grade and anything else needed and export them out to jpg. Then start the LRtimelapse workflow. Then the only thing to do is process the keyframes in LR. Actually would love to have a C1timelapse so I can keep everything in Capture One. Thank you Gunther. I sent the file. I misspoke on the file types. IIQL 16bit and IIQL are supported by Adobe. The IIQS is not currently supported. So I only use the L file types. This post was last modified: 2017-05-16, 18:09 by gwegner. Thanks for sending the file. I'll add the support with the next update. Currently however I cannot seem to get the camera previews loaded from those files, I'll have to do some more experimenting with this. But the visual previews already work. I have it on my list, but it will still take a bit of time. Update: the support for the Phase One IIQ files has been added in LRTimelapse 4.7.6 - unfortunately those files do not have any previews embedded, that means the initial preview creation will be rather slow. My recommendation is to use the LRTimelapse importer to import the files then the previews will get generated on import. Another option to generate them in background would be to use the batch preview generation from the context menu of the sequence folder. 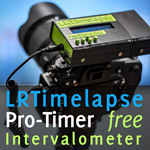 Does that mean that I can use LRTimelapse with capture one and don't need LR? Is there any Tutorial for the Workflow? 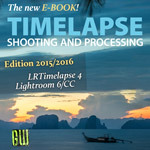 No, this just means, that you can use Phase 1 IIQ raw files with LRTimelapse and Lightroom. Capture one is not supported by LRT.